The 4-Mega-Byte Memory stores up to 2 million measurements. 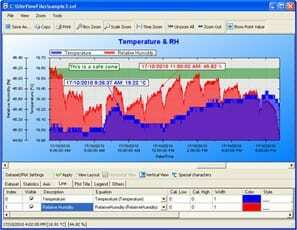 One on-board thermistor channel monitors ambient temperature. Seven range programmable thermocouple voltage input channels cover wide measurement requirements. 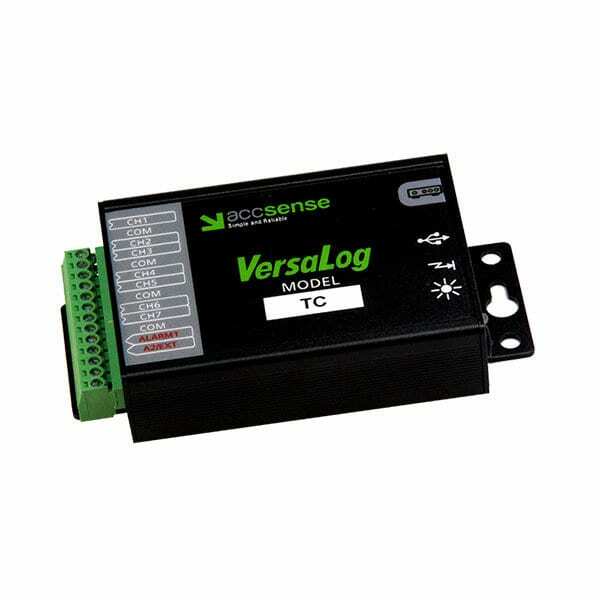 The VL-TC Temperature Data Logger is an 8-channel, battery powered, stand-alone thermocouple data logger. It records the ambient temperature and the seven external thermocouple probes. Data is stored in non-volatile flash memory for later retrieval. VL-TC Temperature Data Logger can also be used as a small voltage data logger with the input voltage range as small as -2 mV to +18 mV. Featuring an aluminum enclosure the logger has excellent performance in the harshest industrial environment. All VersaLog data loggers come with 4MB on-board flash memory. The following table shows the relationship between number of enabled channels, sampling interval and max time span of logging.